How ironic is it that I am sitting down to write this blog post while in Costa Rica doing all the things that would typically fall into my self-love bucket? Fueling myself with the most delicious, fresh cuisine, indulging in the most amazing massages, sleeping more than 8 hours each night, a daily meditation and yoga practice – this is the epitome of self-love, right? Many mainstream messages, lead us to believe that self-love starts and ends with everything that I shared above. Don’t get me wrong, I think all the acts above are beautiful ways to demonstrate self care, but is it really self-love? My question to you is, how is your relationship with yourself? Are you kind, loving, forgiving? Or are you sometimes (be honest here!) judgmental, anxiety ridden or harsh? Many of us will prioritize care, trust, respect, unrelenting acceptance for our loved ones, but we don’t always extend this to ourselves. I can do all the yoga in the world, but every time I look in the mirror why am I judging what is looking back at me? How do I practice self-love? Now if your inner monologue sounds like mine, consider that a toxic relationship with yourself. Your words will manifest, grow and become your reality. I ask that you always choose your words very wisely. In class today, at the most appropriate time, my yoga teacher tells us to look in the mirror and tell yourself, “I’m so cute!” I smiled, giggled, and said those exact words. Now looking in the mirror and declaring that I am happy with every single part of me is a work in progress. Just like we say in yoga…yoga practice not yoga perfect. Self love will always be a practice. However, when you catch yourself in that toxic relationship, change your words and remove yourself from it immediately. Drop the story and make room for the self love that we all deeply desire. I fully accept and love ALL of myself. I fully embrace the life that I have. I love my body enough to nourish it with the best food, water, non-toxic products, physical movement and rest. I love myself so much that I will surround myself with positive, inspiring and uplifting people that recognize my fullest potential. I will always forgive myself and eliminate any judgment. I believe in myself and my ability to do GREAT things. This is all easier said than done. Remember it will always be a work in progress. What I do know for certain, is that my Hot Room community is always there to help me toward this pursuit of higher self-love. Would you like to explore how to remove the barriers towards greater self love? Join Emily Kelly for a Self Love and Buti Yoga workshop where we will dive deeper into the concept of self love, learn to acknowledge our stories and limiting beliefs, and through a sweaty Buti Yoga practice we will release all the thoughts that no longer serve us. Expect reflection, personal growth, and a sweaty, exhilarating practice. You will leave feeling empowered and stronger! Born in Seoul, Korea and raised in Seattle, WA., Hye Jin started working for Eli Lilly and Company after college, which led her to Indianapolis! She and her husband, Ashish, discovered Bikram yoga in New York. 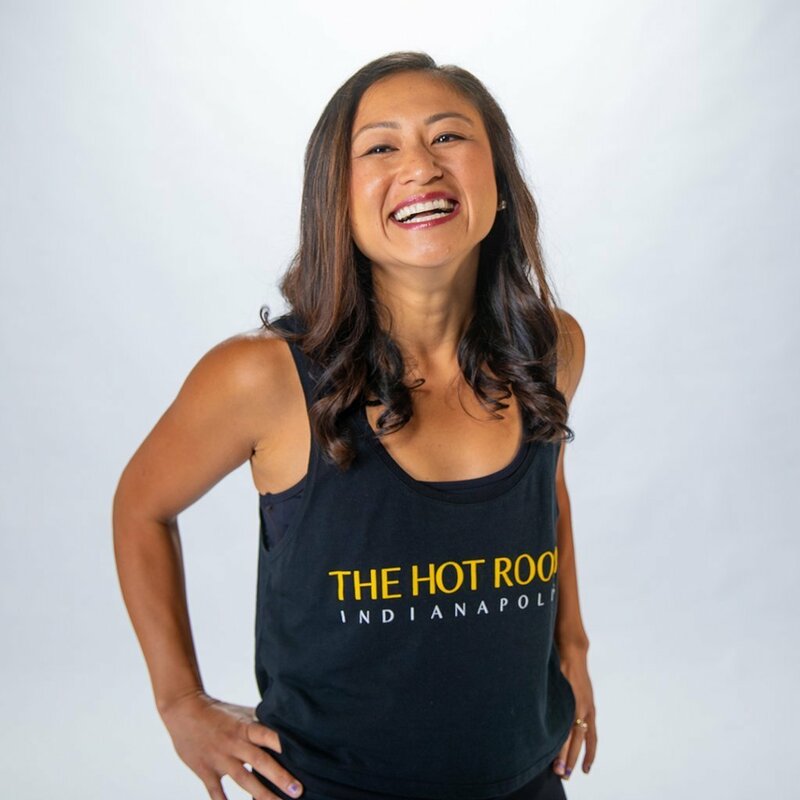 Once it was time to move back, Hye Jin looked at the yoga scene and discovered original hot yoga was not offered in Indianapolis. That’s when she realized she needed to build the studio. In her spare time she loves spending time with her husband, Ash, and two girls, Maya and Annika, and their dog Cooper. When she’s not in The Hot Room, she’s outside hiking, traveling, and exploring new cities. Learn more about Hye Jin when you visit her bio.